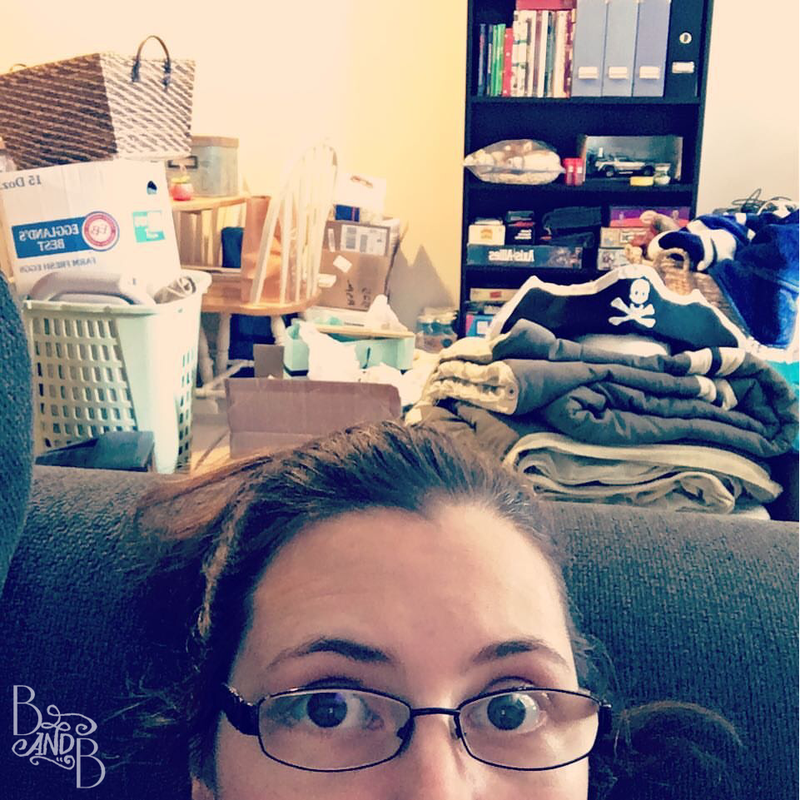 That’s me (Beth) bugging out at the insanity that comes with moving. Especially when you arrive home from your honeymoon and (no joke) immediately start hauling your things from one place to another. What made our move more unique? We had no immediate end date at our current apartment (just a horde of rodents infesting the place we were escaping from) and initially told ourselves we’d give us time to get home and be married for a second before moving. NOPE. One hour back in our mouse-filled apartment and we were slinging things into IKEA bags and hauling them across town. Yes friends, we moved almost entirely using. IKEA bags. We had maybe 3 large boxes, and 4 ikea bags. And we would fill them all, load the car, drive around the corner, dump and repeat. And also check to ensure we weren’t bringing any mice with us. Our ‘new’ apartment has now been our home for over a year now and included such improvements as, above-ground living and a balcony. Remember when we redid the desk area and shared the frosted window? Our frosted window (using contact paper) above the desk in our bedroom. The biggest reason we opted to cover the window in contact paper was that it would allow light to shine in on the sunniest side of our semi-below-ground apartment, without awkwardly allowing everyone on the street to peep in. To our bedroom. Now we’re livin’ large on the top floor with this beautiful view from our balcony! Ok, fine, there’s a parkinglot down there, BUT when you gaze out the big huge sliding glass doors or our bedroom window you really only see the trees. We’ll get a few posts out about this place, but just as quickly as we get around to sharing it with you, we have BIG. NEWS. In the meantime, here’s a few photos of the not-so-new-apartment. Next Post We’re Building A House!